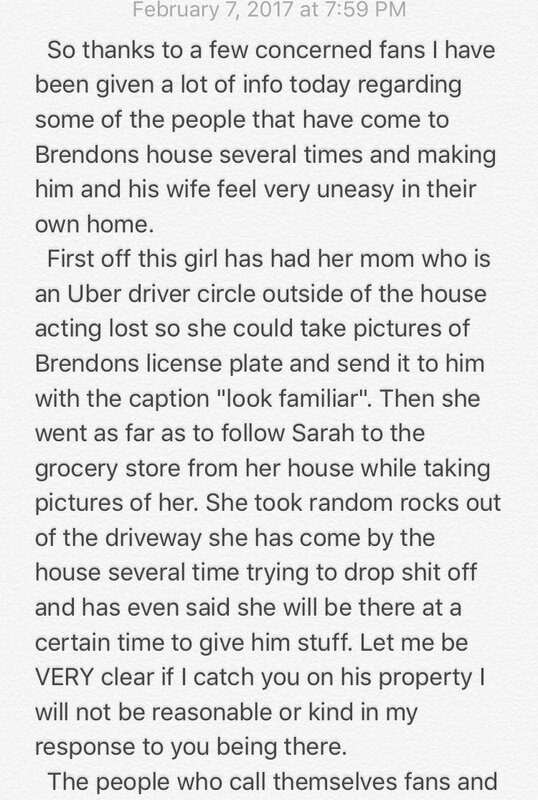 Zack Hall publicly calls out a fan who has been harassing Brendon and his wife Sarah at their California home. Panic! 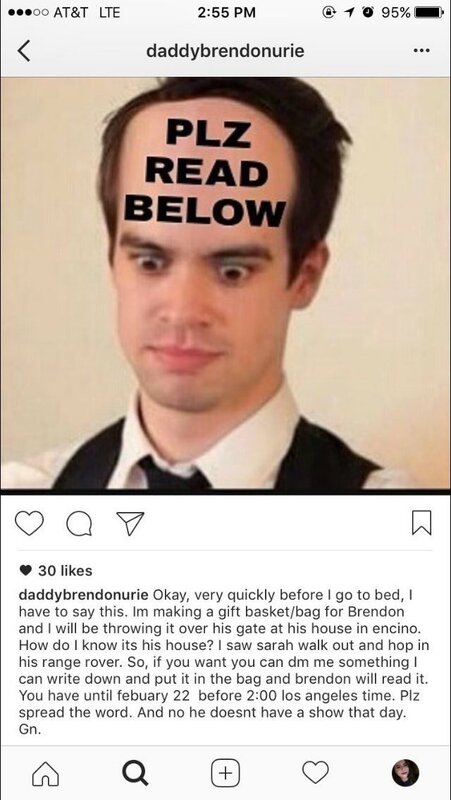 At The Disco's road manager has called out a fan for harassing frontman Brendon Urie and his wife Sarah in a series of posts online. 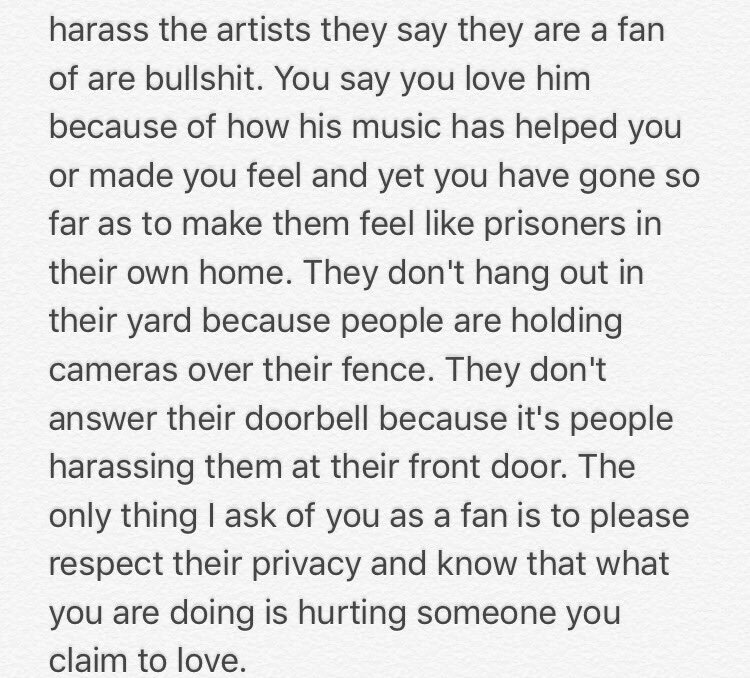 Zack Hall, a longtime friend of Brendon, took to Twitter last night (February 8th) detailing some of the recent harassment the couple have received from one fan who stole from their garden, followed them to the supermarket and even got their Mom to circle their house to get pictures. 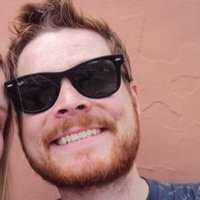 Zack then posted images of the girl in question as well as a link to her Twitter but these have since been deleted after she received mass harassment from fans online. I need to be clear guys. Please do NOT attack or harass this child online. I'm not asking you to fight my battles. Just making you aware. However, a Tweet containing screenshots of the girl's Instagram account remains online, where she has confirmed the stories in Zack's post as well as revealing plans to throw a gift basket into their garden with help from other fans. At the time of writing, the account has been deactivated. This is not the first time the band have had to call out fans for bad behaviour, Brendon recently suffering an anxiety attack at Sydney airport after being mobbed and allegedly attacked by crowd members upon arrival for their recent tour. Similarly, The 1975's Matty Healy confronted a group of South American fans last year after they attempted to break into his hotel room. Just keep being the amazing supportive and respectful fan base I know you guys can be. What do you guys think? Let us know your thoughts on this story below.